Child horoscope reading is a reliable way of knowing health prospects of your child. By choosing child scan horoscope service is to access astrological details of your kundali and deeply-analyzed details about planetary transit and its relatable influences in the life of your baby. The child birth chart horoscope reading is entirely designed to answer each and every question related to wellbeing of your baby together with giving you a comprehensive understanding about the luck of father/mother/brother/sister of the infant. With reliable child astrology taken into practice, we offer important tips and remedial measures about the health, safety and well being of your baby. 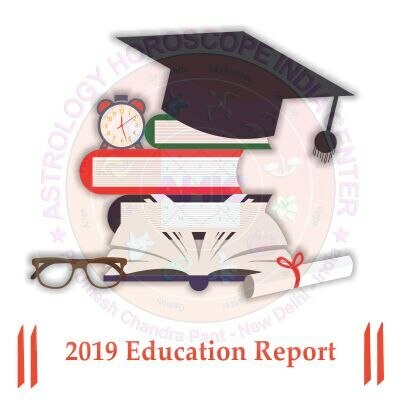 Your Report Will Contain: •	Astrological Details of your both kundali •	A complete analysed report about your Child •	Planets and their influences •	Health of the New Born •	General Luck of Father/Mother/Brother/Sister, etc. of the New Born •	Astrologically suggested name of the New Born •	A copy of the Birth Chart made on the basis of Indian System •	Prosperity/Happiness/Joy in the family, if any by the birth of the new born •	Accurate remedial measures to deal with future problems •	Important tips to make situations easier for you Benefits of this report: •	You have all Astrological details of the child. •	You know about effects of planets in Kundali of the Kid. •	Present and future health prospects are known by you and in turn due care in this regard. •	You know about happiness, prosperity to follow after birth of the child. •	You know about due remedial measure to handle any problem in future. Preparation of horoscope chart at Astrology Horoscope India Center is based on deep analysis of your birth details. It is done meticulously, thus leaving no room for wrongful presentation of the details of your Janampatri. With the Janampatrika, information about your birth chart, planetary position, aspects of planet on a House and planetary movements will be at your disposal. Knowing dasha periods through Janam Kundali prepared by our astrology will come handy to ease out your situations positively. In the printed horoscope making, benefits include knowledge about adverse time in advance so that you can face them ahead of the time. Get the insight about achieving higher growth in your life, plan out activities and rise to the occasion positively. Your Printed Horoscope will Contains •	Your Birth chart and position of planets therein at the time of Birth •	Divisional charts for different aspects of life. •	Aspects of Planets on a house and planets if any positioned in that house. •	Major and Minor Dasha periods in present and future •	Other complete astrological details Benefits of this Printed Horoscope •	You have enough time to plan your activities in coming times. •	You know about highs and lows in your life. •	There is enough time to prepare for facing adverse time. •	How to do things for achieving higher growth in your pursuit. •	Plan things well and also your finances for future needs. •	Now you can visit expert and experienced Astrologer to guide you and plan things to push ahead your prospects.